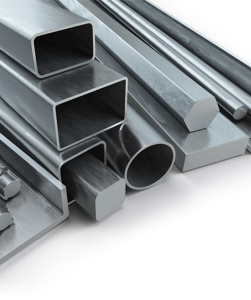 With better thermal conductivity and workability than Stainless Steel, Aluminium is a suitable alternative where strength and weldability isn’t a priority. In addition to a comprehensive range of standard sizes, we stock industry-specific items and custom specials with numerous specialist products and alloys satisfying the needs of a broad range of industries. We provide a complete range of processing services including bar; tube & pipe cutting; plate processing; coil processing and surface finishing. Grades:1050A, 3103, 5083, 5251 and 6082. Additional Materials:Extrusions Round, Flat, Hexagon & Square Bar Tube & Scaffold Tube Angle (Equal & Unequal) Channel Tee Square & Rectangular Box Section in 6082 and 6063 in 4.0 metre / 5.0 metre lengths.